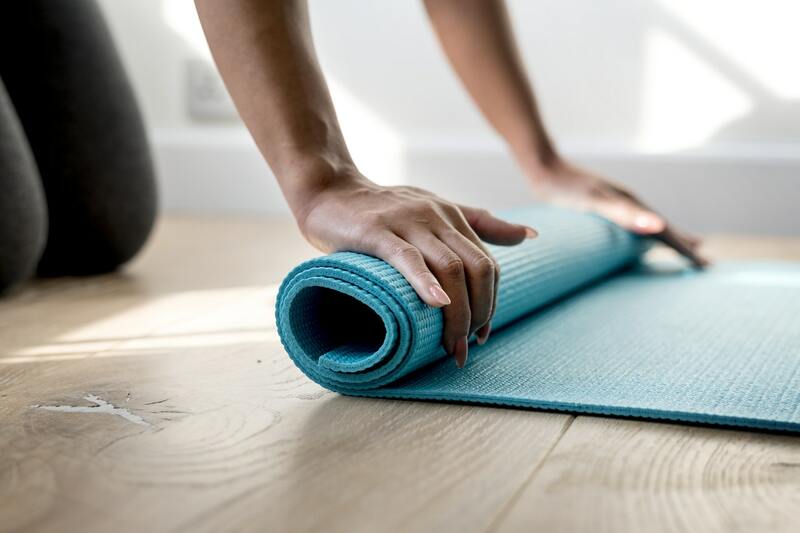 Here are some fundamentals, tips and best practices for making the most of your home workouts + a free template to plan your own home workouts. Home workouts can be very time efficient. No more driving to the gym and sitting in traffic. Performing home workouts in a circuit fashion cut down on time. You can complete a good workout in 15 minutes. I know what you are thinking, 15 minutes? Is that even worth it? My answer is YES. 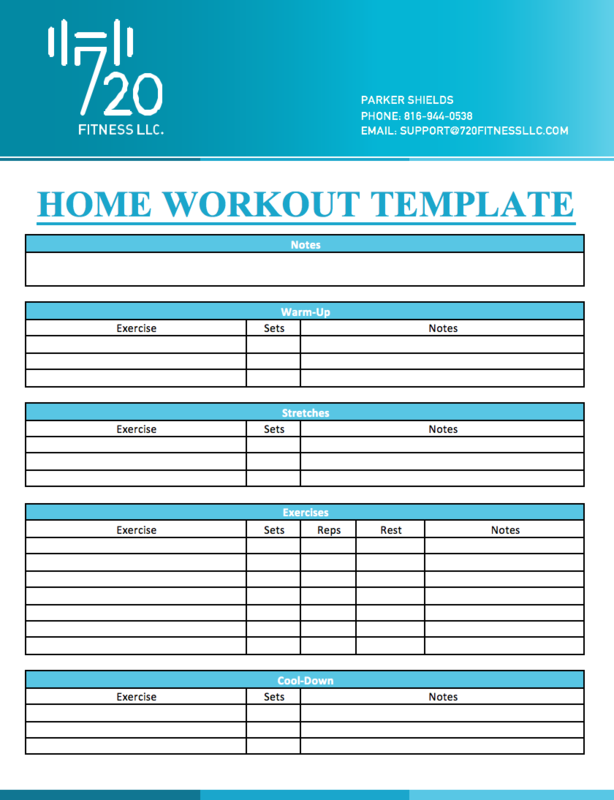 I challenge you to follow one of our pre-made workouts or create your own by using our template below. One of the greatest benefits of home workouts is NO EQUIPMENT NEEDED. That’s right, all you need is a floor, I know you have one of those. Although you do not need equipment, some home furnishings can be used for more exercises. For example, doing body weight dips using a chair, dining table leg as an anchor for ab exercises, stool for hamstring stretches. Be creative! Think of normal exercises you would do at the gym and see what you have available, you would be surprised with the outcome. Enable more exercises/reps/sets to be performed due to decreased rest times. Perform one set of each exercise. Rest. Perform the second set of each exercise. Rest. Repeat for the desired number of rounds. Home workouts often fall under endurance in classification due to the low-weight heigh-rep nature. A good range to abide by is 12-20. If these reps are too easy, complete more sets to increase volume. You can also decrease repetition tempo to a 4/2/1 to increase stress placed on soft tissues. If performing a circuit, 2-5 rounds is appropriate. This equates to 2-5 sets per each exercise. Start with fewer sets and work up to more sets. 90 seconds allows the body to properly recover when performing endurance exercises. When performing a circuit and resting only between rounds, ensure you are hydrating and resting. Circuits place a lot of stress on the body in a short amount of time. There are many more exercises, these are a few. Your body needs to adapt to be ready for exercise. During the warm-up you will increase heart rate, respiratory rate, muscle extendibility, increased blood flow. Walking, light stretching, bodyweight squats, push-ups, and jumping jacks are all good for warm-ups. Keep in mind, the goal here is to warm-up, not workout! Stretching increases the extendibility of your muscles and increases the blood flow which prepares them for the workout. Stretch tight muscles and ones to be targeted during the workout. Keep good posture and focus on breathing. Aim for at least one exercise for the major muscle groups. This will ensure you will have a well-balanced workout. Alternating upper and lower body exercises when performing a circuit enables the upper and lower body to rest. Rest times are important so you can recover and begin the next set. 90 seconds is good for endurance exercises. If you need more or less rest, adapt as needed. The shorter the rest time, the higher the intensity. Bring your water bottle, you need to hydrate! Your body uses a lot of water when exercising, it is important to replace fluids. The “cool” thing about the cool-down is the warm-up can be repeated. Cool-downs help your body return to resting heart rate, respiratory rate, muscle length, and blood flow. Body functions will remain elevated after completing a workout to recover. USE OUR TEMPLATE BELOW TO CREATE YOUR OWN!